The United Nations has invited Samoa’s business leaders to join the world’s largest corporate sustainability initiative this week. U.N. 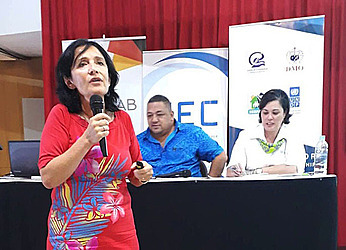 Regional Director Simona Marinescu addressed the business community and stakeholders at the monthly U.N. sponsored Chamber of Commerce meeting in Apia. She spoke to the participants on two U.N initiatives that are aimed at getting the private sector help achieve the international development goals. To encourage the private sector to participate, the late Kofi Annan founded the U.N Global Compact in 1998. Since then, nearly 10,000 companies have registered with the Global Compact across 164 countries. These companies pledge to work towards achieving 17 Sustainable Development Goals (S.D.G's) written by the U.N, which are a call to action to work towards protecting the planet and its people. Ms. Marinescu said while the U.N. partnered mostly with governments, today they are encouraging businesses to partner with them too. “On behalf of all of you, the I.C.C. [International Chamber of Commerce] adopted these development goals,” she said. Businesses who register with the Global Compact stand to benefit from their partnership with the U.N. as Members can carry the U.N. Global Compact logo and they can expect high facilitated supply of goods and services from U.N. agencies outside of Samoa. “There is a screening process and reporting process annually that deals with credibility and you are by default our partner,” she added. Fundamentally, Ms. Marinescu said registering with the Global Compact is about a full integration of human rights into your business. 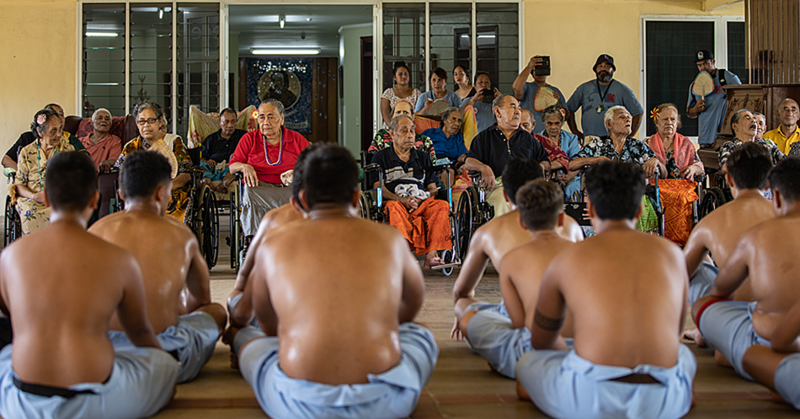 “It’s a very transformative tool. Once you become a member, you are expected to promote responsible business and corporate social responsibility,” she said. Ms. Marinescu encouraged the businesses to take their time reading material available online about the process of joining the Global Compact. To join the Global Compact, she said it requires commitment from the C.E.O. or equivalent leader to meet responsibilities in four areas - human rights, high labour standards, environmental sustainability and anti-corruption. Companies are required to complete online reporting each year to make an annual financial contribution and to align their business with 10 Global Compact principles. Ms. Marinescu says the lasting benefits of joining the Global Compact far outweigh the work required to join. “You grow your competitive advantage because you are seen in the business community as operating within those 10 principals. Your position in the business sector is highly enhanced,” she added. Membership also increases the member’s credibility when it comes to future partnerships with the U.N. on any projects. 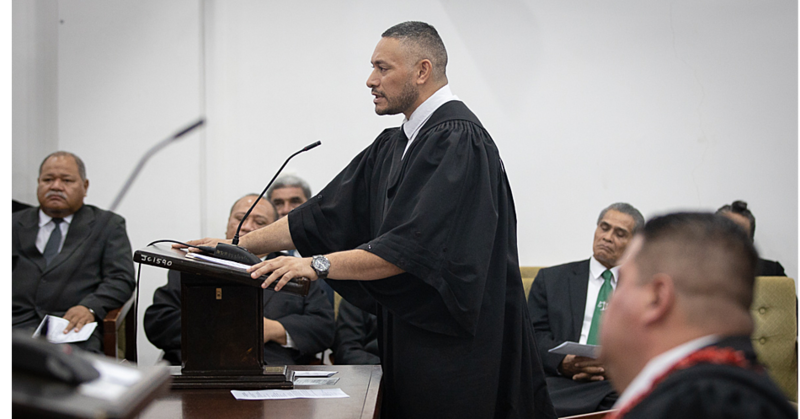 Local business owner, Fa’asotauloa Sam Saili said listening to Ms. Marinescu was encouraging and he plans to research the Global Compact further. “My company already meets some of the S.D.G’s through AUS Aid, but I am interested to look into this further,” he said. 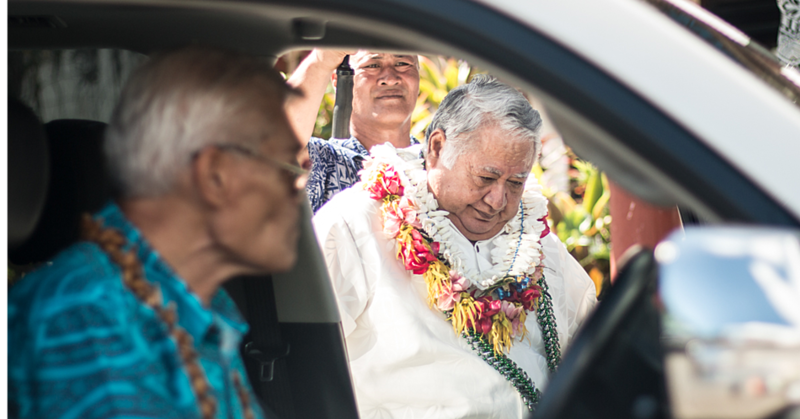 Fa’asotauloa said he still needed to know how much of a financial contribution his company would be expected to make and how often the reporting was expected before he made a commitment.